AT&T USA - Generic (no iPhone) "Out of Contract & Clean"
Order a Permanent Factory Unlock on AT&T USA - Generic (no iPhone) "Out of Contract & Clean"
All products, and company names, logos, and service marks (collectively the "Trademarks") displayed are registered® and/or unregistered trademarks™ of their respective owners. 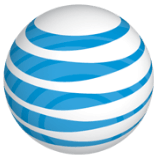 www.UnlockPhone.codes is not associated with or sponsored by AT&T. The authors of this web site are not sponsored by or affiliated with any of the third-party trade mark or third-party registered trade mark owners, and make no representations about them, their owners, their products or services.